Small business advice on technology, productivity and sales - Join the conversation! Business Consulting Pro on How Do You Feel About Technology Right Now? kaczjoe on You Can Do It Duffy Moon! Steven on You Can Do It Duffy Moon! Self development training on Make your Life Great! Tips from The PDA Pro ezine. Do you have a To Do List? Do you have one list or many? Do you actually get the tasks on the list done? I have several different task lists. I add tasks to my customer database on SalesForce.com. I use Nozbe to keep track of business tasks. I also write out a weekly list of tasks I need to complete. And, finally, I write out my top 3 priorities. Are you effective at getting your most important tasks done? Or, are you easily distracted? What are you willing to do to improve your effectiveness? Pick one area and work on it! Good luck in your efforts to improve your productivity! Are you leveraging technology to grow your business? Are you making the best use of the tools you have? Or, are you throwing money down the drain because you're failing to capitalize on your investment in technology? Many entrepreneurs spend a lot of money on technology, but fail to get a return on their investment. Sometimes, they get drawn into the appeal of a certain technology. Sometimes, they know they need to implement technologies to grow their business. But for whatever reason, they don't follow through to actually make full use of the technology. So, what can you do to make better use of the technologies that you have? It's time to make a list of all of the technology hardware, software, websites and other services you have. Rate each tool on a scale of 1-10, where 1 is low and 10 is high. Then, look for duplication in the tools you have. Where do they overlap? What has the most potential? Isn't it time you got a grip on the amount of money you're investing in technology tools for your business? If you would like to audit your technology tools, I have a Free Technology Audit Template I can email you. Send me an email at Blog(at)ThePDApro.com to request the template. Ask for the Technology Audit Template. As you wrap up 2008 and look toward 2009, it's a great time to think about your habits. Do you habits support you or hinder you? What habits are leading you toward success? Which habits are leading your toward failure? Do you think you could improve your results if you eliminated negative or unsupportive habits? You bet you could. So why are so few people able to actually change their habits? In most cases, people just don't have enough motivation to change a habit. They may have tried and failed in the past. If you want to change your habits, you need a compelling reason to change. You also need to make a commitment to change. And you need to find someone to hold you accountable. You Need a Compelling Reason to Change! If you change your habits, you can change your life. Looking for blogs that offer insights and information? Look no further. Blogs.com offers a human-edited view of the blogosphere. You can quickly and easily find blogs by category and topic or read daily blog roundups of some of the best blog content around the Web. There's even a section for small business marketing. You'll find a list of recent blog posts on the topic. There are also top ten lists of blogs posted by experts. You're bound to find a blog that can teach you something new and valuable. Check it out! What's happening right now in your life? What's happening right now in your business? Are you feeling scared? Are you feeling frustrated? Or are you feeling optimistic? Interesting! There's a lot of gloom and doom news out there, but I predict one year from now you're going to surprised when you look back and see what's happened in your life. Hang in there! Things will get better. We're in for some exciting changes. Sure, there will be a lot more of the same. But, there will be a lot of new opportunities to get excited about again. I'm not going to make any predictions about the stock market, except to say that 10 years from now, it will be a whole lot higher. Hang in there! Things will get better. Technology will continue to provide you the capability to leverage your time. But, remember to value your family and friendships. That's what life is made of. Do you use a mobile phone while driving? How do you stay productive while driving, but avoid the risk of DRIVING DISTRACTED?!? Join me for a complimentary teleseminar where I will interview Mobile Headset Expert John Waller on tips to use your phone safely (and legally). CALIFORNIA HANDS FREE DRIVING LAWS ARE NOW IN EFFECT! New cellular phone laws went into effect July 1, 2008 in California. The changes are intended to reduce accidents caused by distracted drivers. VC §23123: Drivers 18 years of age or older are prohibited from driving a motor vehicle while using a wireless telephone unless a hands-free device is used. One of my favorite books in recent years is the 4 Hour Workweek, by Timothy Ferriss. Tim challenges readers to work less and play more, what he calls lifestyle design. Without getting into the details of the book here, I wanted to share a post from his blog. "Despite the disproportionate attention paid to them, personal outsourcing and selective ignorance are just two chapters out of 16 in 4HWW. There is a lot more to information management and intake control in 4HWW (interruption prevention, internal policies, scripts with superiors, etc.) than “batching” e-mail." I thought his post was interesting and gives some insight into different methodologies to stay productive. The Palm Treo 755P requires you to remove the battery in order to perform a soft reset. Amazing! 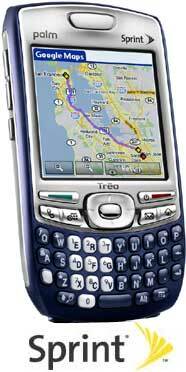 I have the Treo 650 and you have to open the case and then use the stylus tip to reset it. It looks like for whatever reason, Palm engineers figured it would just be easier to have you remove the battery. Okay then. Palm describes three processes to reset your PDA in the user manual on pages 288 and 289. The soft reset is the least invasive. Then there's the system reset. And finally the hard reset. A hard reset on a Palm PDA will erase all of the data. It's a last resort. If you are not using backup software on the smartphone itself, you may lose data and not be able to recover it. I haven't had to perform a hard reset on my PDA in a long time. I occasionally have to perform a soft reset. It happens a few times a month. It's not that annoying. But, I worry about having to keep opening the case and removing the battery. It just doesn't seem like the most desirable process. I guess that's another reason to switch to an iPhone (although I have not explored what if any process is used to reset an iPhone). Author and Permission Marketing Expert Seth Godin offers a great checklist to review before sending email. It's a little impractical to run through the checklist every time you send a message, but I think his point is to make you stop and think about how you use email. 8. Aside: the definition of permission marketing: Anticipated, personal and relevant messages delivered to people who actually want to get them. Nowhere does it say anything about you and your needs as a sender. Probably none of my business, but I'm just letting you know how I feel. (And how your prospects feel). 22. Is there anyone copied on this email who could be left off the list? I have to think that some of the items on the list are included for humor's sake alone. But, I think his point comes across loud and clear that people communicate too often through email on things that other people probably don't care about. It's also a great reminder to CYA to protect yourself. Barbara Beal-Lopez from Brightfarm turned me on to a site called Unclutterer, devoted to providing tips to stay organized. 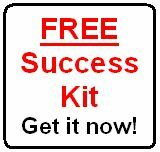 It's a great site with plenty of ideas on how to organize your life and business. The site includes information on web-accessible project management tools. They mention a few standard tools like Basecamp as well as a few I haven't heard of, including 5pm and @task. 5pm looks pretty slick. I may give it a try. I'm currently using Central Desktop to manage some projects. Niche marketing is all the buzz. Companies want to know how to reach niche markets to increase their profits. Small businesses have been far more successful at niche marketing than larger companies. 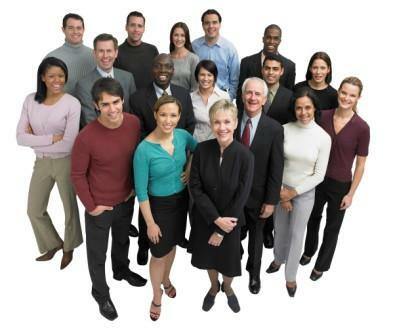 It's much easier to reach one niche market than it is to reach many. Large companies by nature need to sell more products and services to earn a profit and therefore they end up serving the mass market. I am delivering a speech on May 14th to the American Marketing Association on Niche Marketing: Stake your Claim to Profitable Market Segments. This is a great topic and I have some timely tips I'll be sharing with AMA members. To find out more information about how to book Rick for an upcoming conference or event, visit the Speaking section of our website. How do you carry your PDA or smartphone? Men often carry them on a holster or in a pocket. Women drop them into a purse and often struggle to find them when they ring. Celicase Designer Lisa Rodrigues created a solution for that problem. 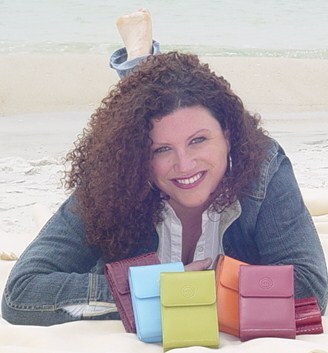 She created the Celicase, a carryall designed to hold a PDA or smartphone and keep it accessible. Lisa will join us on our Internet Radio Show Attracting Ideal Clients on May 7th at 3pm Pacific Time. Tune in every Wednesday at 3pm Pacific Time. When was the last time you synced your PDA or smartphone? Most people don't sync often enough and they're asking for trouble. Connect your device to your computer and sync it daily. It only makes sense. And also be sure you backup your computer. Hard drives have a limited life. You need to backup your files daily to an external media device or back it up online. It's quick and easy to do. What is holding you back? What do you need to do to move forward in your life and your business? Take a moment now and brainstorm a few ideas. Now, challenge yourself! Challenge yourself to take one step to move forward. In another sign Google is taking over the world, they have acquired Feedburner. If you have a blog or a podcast, you should be using Feedburner to understand how many people are subscribing to your content. The fact that Google acquired them pretty much confirms the value they offer customers. It will be interesting to see how Google leverages the Feedburner platform. Needless to say, there will be more opportunities to get your message out there to a very targeted audience. What steps are you taking to make your life great? 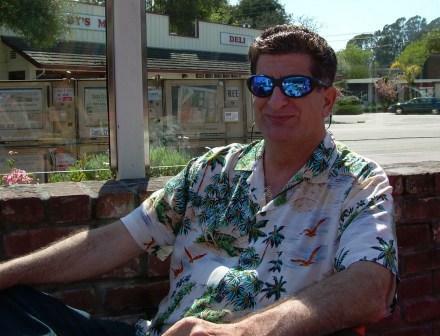 One of the leading bloggers on this topic is Phil Gerbyshak with his Make it Great blog. He was recently interviewed by Adversity University Founder Stephen Hopson. "The best advice I’ve ever gotten is “Play full out. All the time. Leave it all on the table, and go home tired.” This gift was given to me in various ways, at various times in my life, from various people, and it sticks with me and it defines how I live." "In addition to the best advice I ever received, I’d add this to make it even more impactful: “Life is 1% what happens to you and 99% how you respond to it.”"
Phil is a class act and a downright genuine guy. He is extremely successful and influential as a blogger. For the complete interview, click here. What steps are you taking to create visibility on the internet? If you're interested in finding ways to attract your ideal clients, visit our new blog, Attracting Ideal Clients. Amazon has launched an intriguing new device called the Kindle. It's an ebook reader with wireless access. It not only allows you to read books though. You can also read newspapers and blogs. Given the huge trend toward going green, I think a device like this could catch on. Free Wireless Access on a Mobile Device! I'm curious to hear from anyone who has tried the device. What's amazing is that the wireless access seems to be free. They appear to be covering their costs through book sales. It will be interesting to see if this thing takes off. Could a device like this have the same kind of appeal as the iPod when it first came out? I suppose only time will tell! Do you ever feel overwhelmed? Do you feel like you just can't get ahead? Sometimes life is challenging. And if you fall behind it can be hard to catch up. Those are all symptoms of overwhelm. So, what can you do to get back on track? When life gets you down, it's really important to just start simplifying and breaking things down. Most people over-complicate life. I know. Because I'm one of those people. I have too much of everything. I have to remind myself to continue to simplify. Reduce the number of physical possessions you have. Reduce the number of financial accounts you have. Reduce the number of email newsletters you subscribe to. Reduce the commitments you have. At some point, you have to start saying no to things. At least until you can get your head above water. You didn't get into a mess overnight. And you won't be able to solve it overnight. The best way out of a mess and the best way to overcome overwhelm is to simply start taking baby steps. Create a task list for things that will help to clean up the overwhelm. Take some time to brainstorm creative ideas to simplify things. Start Taking Some Baby Steps! You can do it. You can clean up your messes and overcome overwhelm. Just simply start taking some baby steps and you'll begin making progress and feeling better. For additional ideas to work more productively and effectively, listen to my FREE audio series, the 12 Days of Productivity. Want to grow your business? I have launched a new blog called Attracting Ideal Clients. This blog is for small business owners, especially service professionals, who want to grow their business by attracting their ideal clients. More on this in a moment. 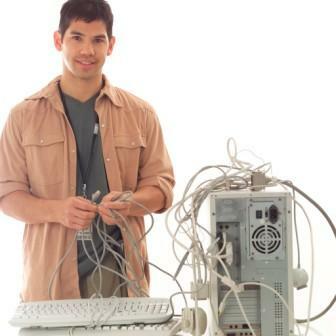 If you've read The PDA Pro Blog for awhile, you know that I cover a wide range of topics. I post on productivity, technology, sales and personal development topics. I'm passionate about helping people live productive and effective lives. I just love seeing people in their element, working smarter not harder. That's fun. What's not fun is feeling disorganized and overwhelmed. That's leads to procrastination and avoiding what you need to do. In my business, I spend much of my time working with home-based service professionals. That includes coaches, consultants, virtual assistants and professional organizers. I love the entrepreneurial spirit. It's fun to launch a business and see it take off. Of course, owning a business is risky. And it can lead to a lot of additional stress. My value system reflects my philosophy on building long-term relationships. And I've found the best relationships in business come from working with your ideal clients. This is the basis for building a successful referral based business. and They Will Seek You Out! And so it's with that concept that I've launched a new blog, Attracting Ideal Clients. There's a push/pull nature to marketing. Marketers often push their messages onto people. And that's effective to a certain extent. But, it's more effective when you can pull or attract your ideal clients to you. They will SEEK you out. That's really powerful! And it's easier than ever to do this today using the internet. But, it takes a lot of work and you need to know what you're doing. I'm still refining my own approach. But, I have always jumped on top of any opportunity to get my message out there and attract people to what I'm doing. So, Attracting Ideal Clients, is focused on teaching you how to identify who your ideal clients are, learning where to find them, what to say to them, and how to begin building a relationship with them that ultimately leads them to ask to be a client. But, it's not just about how to use the internet. I'll discuss mainstream topics like writing articles, teaching workshops and teleseminars, making phone calls, sending cards and networking more effectively. It's all of the things you can do to communicate your message and attract your ideal clients. Yes, you still need to be able to sell. But, focusing on attracting your ideal clients will create an endless stream of leads and referrals. So, check it out and post a comment. The site is pretty slim at the moment, but I will add to it over time. Thanks! How Do You Feel About Technology Right Now? I'm just curious, how do you feel about using technology right now? Are you really connected with the technology you're using? Or are you so over it??? I constantly have a love/hate relationship with technology. I have way too many technology tools to support me in my personal life and in my business. Most of the time, things are humming along. But occasionally, I just feel out of sync with the technology tools I'm using. Do you ever feel like that? Do you love technology or do you hate it? Please post a comment and let me know what you love about the technology tools you're using, and what you hate!